Anyone can join the dream team. There is room for everyone. 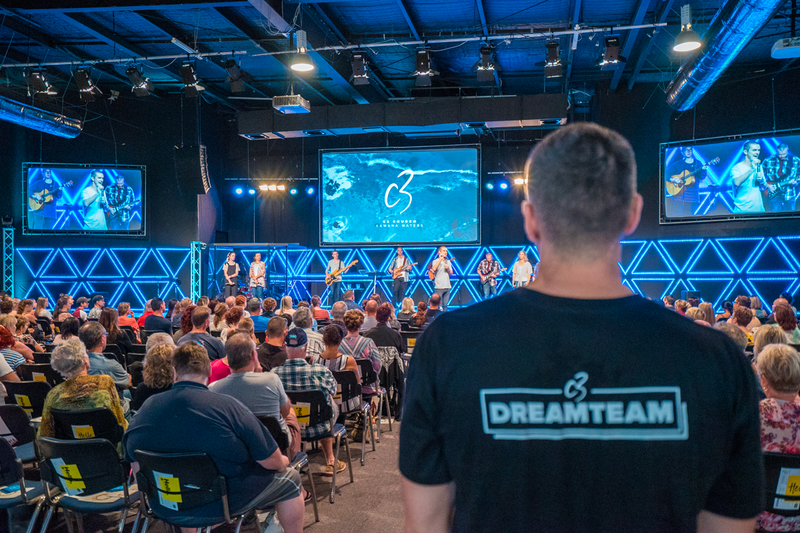 Our vision is to build a church where Jesus is glorified and lives are transformed, and our dream team helps makes that happen. Every one of us is created unique. We are wired differently – with different passions, personalities, abilities and gifts. God has made us that way. He made us that way for a purpose because He wants each one of us to be effective servants for Him and His church. There is a team that is a fit for every person’s personality, giftings and passions. If you want help finding out what your gifts are, or what the teams are that match them, check out Growth Track Sessions 3 & 4 that are designed to help with exactly that. There is great value in you coming to church as well as serving in church, which is why we recommend serving in one service and sitting in another. Whatever team you sign up for – we will make sure you will be trained and shown the ropes. Just keep in mind that some teams you can start training straight away, while others have some conditions you will need to fulfil in order to serve (eg. our kids team requires Blue Cards and Child Protection Training before you can go on roster). Interested in what teams we have? CAFÉ - If you’re a coffee lover, we’re always looking for baristas. If you’re good with coffee, food, customer service, or are happy to help out in the kitchen, then the Cafe Team is for you. CARE AND PROTECTION TEAM – We make sure all of our services environments are fully secure and safe for attendees. We protect and foresee potential risks, utilise discernment and act with love and compassion to prevent issues. CATERING - This team prepares food for our kid’s program before church services. Hospitality is one of the keys to creating an atmosphere for transformed lives. This team is usually finished in time to be part of the worship service. GLEAM TEAM - Gleam Team Members have a great eye for detail and serve behind the scenes to ensure excellence in the small things. Some of their practical tasks include auditorium preparation, distributing brochures, and ensuring that our facilities are welcoming and well stocked at all times. GUEST SERVICES TEAM – This team takes care of our visiting guests and speakers, ensuring their experience with us is excellent, easy and enjoyable. There are a range of areas they assist including driving, chaperoning, and helping serve food in our greenroom. SERVICES TEAM - Are you organized and have an eye for detail? Our services team are atmosphere architects that unite our Sunday teams together; communicating and coordinating plans and details to ensure that our services run smoothly with excellence. SERVICE DESK - This team is the ultimate in customer service. They answer questions and help take payments for resources and events. If you love serving customers with a smile, then this team is for you. STEWARDS – If you’re a ‘make it happen, whatever it takes’ kind of person, then Stewards is for you. Stewards are a group of servant-hearted men and women, helping to support the work of the ministry in any practical way necessary – with excellence. Practical tasks include helping in the carpark, opening car doors, setting up chairs, and catching on the altar. WELCOME TEAM – This team is for friendly, outgoing people who love to make people feel welcome at Sunday services. CRÈCHE - For those who have been thinking of taking Wiggles dance classes or learning the fine art of play dough sculpture, this is the perfect team for you. 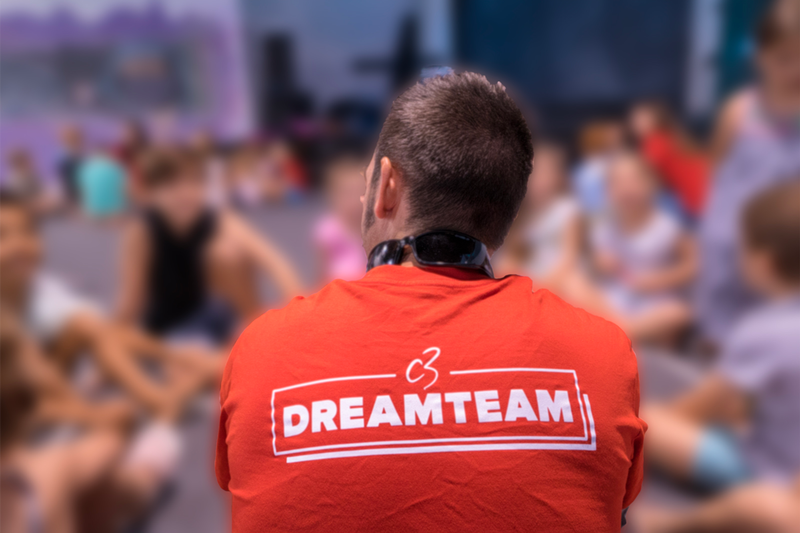 We are a dynamic and creative team committed to leading children into their future as healthy, happy worshippers of God. Crèche Team Members will need to register for a Blue Card and complete Child Protection Training. C3 KIDS - There are many varied opportunities to help raise spiritual champions in C3 Kids. Come and help us minister to our children through worship, prayer, fun games, activities & teaching. C3 Kids Team Members will need to register for a Blue Card and complete Child Protection Training. C3 YOUTH ‘ALL IN’ – We are passionate about seeing young people won for Christ, find their purpose and to see their lives transformed! This is a team that volunteers to help make our Friday Night Program run for our Youth Ministry in serving in practical tasks like setting up, packing down, stewards, café team and more! Come be a part of the exciting things God is doing in our Youth Ministry and help us change the world! C3 Youth ‘All In’ Team members will need to register for a Blue Card and complete Child Protection Training. CREATIVE ATMOSPHERE - This team helps create a great atmosphere for our events by creating new displays to enhance the foyer, stage and auditorium. If you have a flair for staging, interior decorating, floristry and art, then we would love to have you on this team. 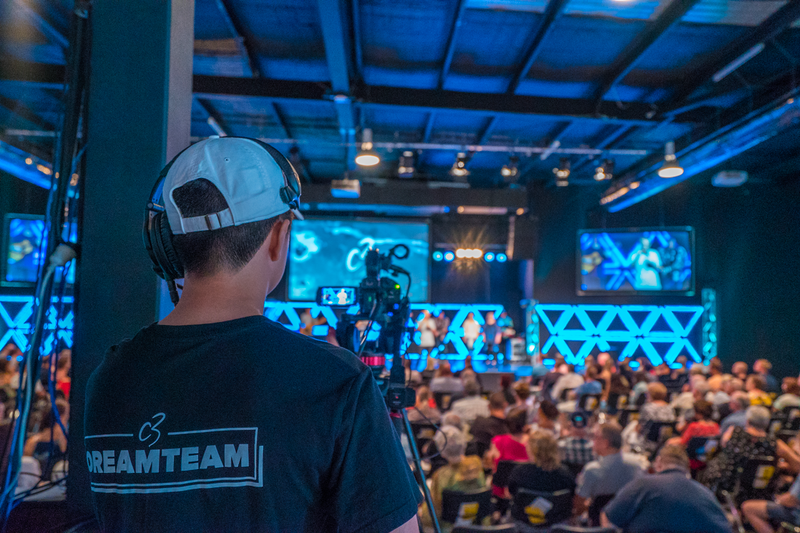 FILM TEAM – The Film Team uses their creativity and skills in filming and streaming our live services and events. If you are at home behind a camera then this team is for you! LIGHTING TEAM - The Lighting team also creates an atmosphere in all of our services, which takes people into God’s presence. If you have a creative feel for lighting then this could be the team for you. MULTIMEDIA TEAM – The Multimedia team are passionate about media! If you can multitask without getting your peripherals in a twist, then this is the team for you. Practical tasks include projecting words, announcements and video during services and sound recording. PHOTOGRAPHY TEAM - Are your Instagram shots the envy of others? Do you love to capture the moment with creative photography? If so, then Photography is your team! This team captures photos from all of our events and services. SOUND TEAM - The sound team creates an atmosphere in every service that takes people into the presence of God. If you have an ear for music, then this could be the team for you. WORSHIP TEAM – This team is for musicians and singers who love to worship and help people enter into the presence of God. Those applying for this team will be contacted regarding an audition. ADMINSTRATION – The admin team makes church work! If you are available during the week and can help practically around the office, then the Administration Team has a place for you. BUILDING MAINTENANCE - If you’ve ever been referred to as “Tim the Toolman” or “Bob the Builder”, this is a great team for you. Practical tasks include fixing things, building facelifts, extreme makeovers and just making things work well. MARKETING TEAM - This team works to promote our church events through web and social media platforms. If you are a PR person, website guru or social media wizard, we’d love to have you working with us. TLC TEAM - If you have a heart of mercy to help people in our church practically during their time of need - i.e. baby born, death of family member or other event – then this is the team for you. Our TLC Team work with our groups to provide extra practical care during tough times. This includes making meals, helping around the home, looking after children and whatever it takes to shine God’s love into the lives of the members of our church. FREEDOM TEAM – This team helps facilitate and activate God’s freedom in people’s lives. They assist in leading people to encounter life changing moments with the Holy Spirit through the Word of God, repentance, forgiveness and receiving prayer ministry. These team members are passionate about seeing people healed and set free from their past. INTERCESSORY PRAYER TEAM – This team meets fortnightly to pray together for our Pastors & the Vision of our church. It’s a group of fired-up prayer warriors. GO TEAM – The Go Team are the evangelists in our church. They meet together for prayer and encouragement before our monthly church prayer meeting & get involved in running Alpha Courses for people who are searching for answers. YES TEAM – This team is integral in helping our New Christians start their journey with God. They assist with altar calls, follow-up and encouraging our New Christians. GROUP LEADERS - Groups are the heartbeat of our church. The best way to become a Group leader is by getting involved with an existing group. SHINE COMMUNITY CARE – This Team has a passion to help children, youth and families in crisis. Volunteers are needed for a wide range of tasks, such as administration, fundraising, gardening, cleaning, repairs, mowing, event participation, family support and advocacy.